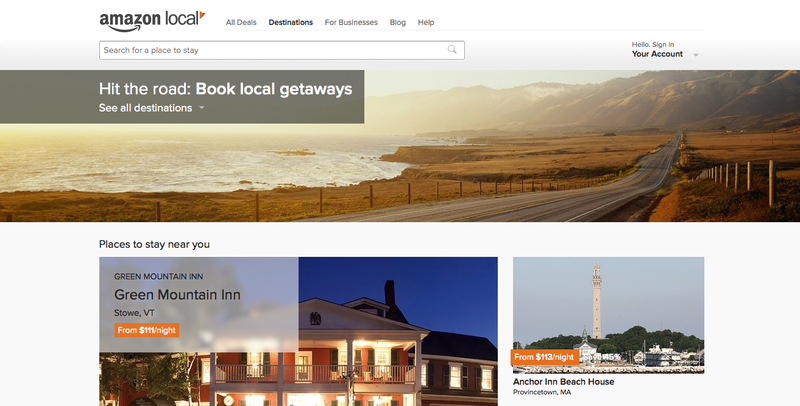 Amazon’s rumored travel site has now officially launched. Amazon Destinations curates hotel listings—and user reviews—to help you book a trip. But only in a handful of locations. While Amazon has sold hotel rooms before in mini flash sales conducted via Amazon Local, Locations is a much more dedicated offering. Currently it features listings for hotels in LA, New York and Seattle—as predicted last November. There’s no word on whether the offering will expand around the U.S. or the rest of the world, though it wouldn’t be surprising if things go well. The site was said last year to work on a model where hotels list rooms, availability, pricing, and photos on Amazon, then pay 15 percent commission to Bezos & Co. for the privilege. The result is, as you can see, list prices rather than major discounts. But, crucially, it’s all provided with the glorious convenience that Amazon offers.